Written By Reed Montgomery, Owner of Reeds Guide Service (205) 663-1504, “Alabama’s Oldest Professional — Bass Fishing Only — Guide Service, Guiding on all of Alabama’s Lakes For Over 40 Years” Located in Alabaster, Al. Website www.fishingalabama.com Like Us on Face book Too! 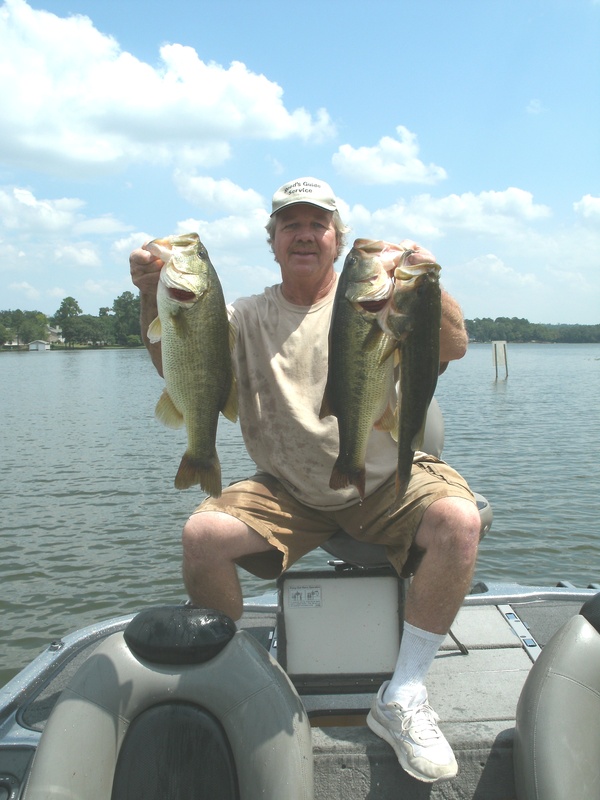 It’s a given fact, that is, if you fish most lakes in Alabama; the best two fishing months of the entire year, have got to be April and May. “ Why are they the best ? ” You may ask? 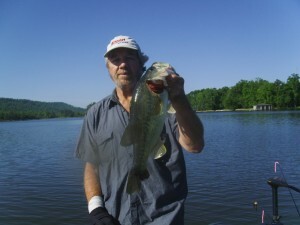 There are many good reasons why (bass anglers in particular), should be fishing as often as possible, all throughout the entire month of April or all throughout the month of May as well. Or both! Or for that matter, any chance they get to go fishing for the entire eight week’s of the official spring season, creates a really good possibility (if your really skilled or just plain lucky), at maybe fooling more than one, “Big Bass of Lifetime”. 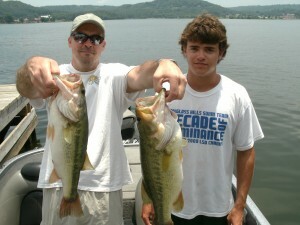 So perhaps several big bass are very possible. But only if your there. 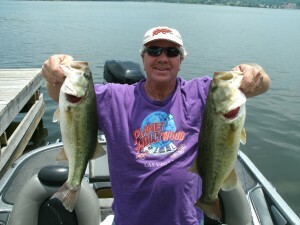 As most astute bass anglers know, for there to even possibly be a really good chance at fooling the biggest bass of your lifetime, first you have to be on the lake fishing! So, why are the months of April and May so good for targeting trophy bass throughout all of Alabama? Simple. Because way over half of most reservoir‘s bass population, are now situated in the lake’s shallows (usually bedding or cruising and still eating, in water depths of one to three feet deep), with many bass often staying there, in and around the lake’s shallows, for the next two months! That’s why! (Small ponds and lakes may differ, when compared to much larger, man made impounded lakes). * These smaller ponds and bodies of water, some of only a few acres, can heat up very fast in the Spring season, with a warmer than usual, sunny month of April. 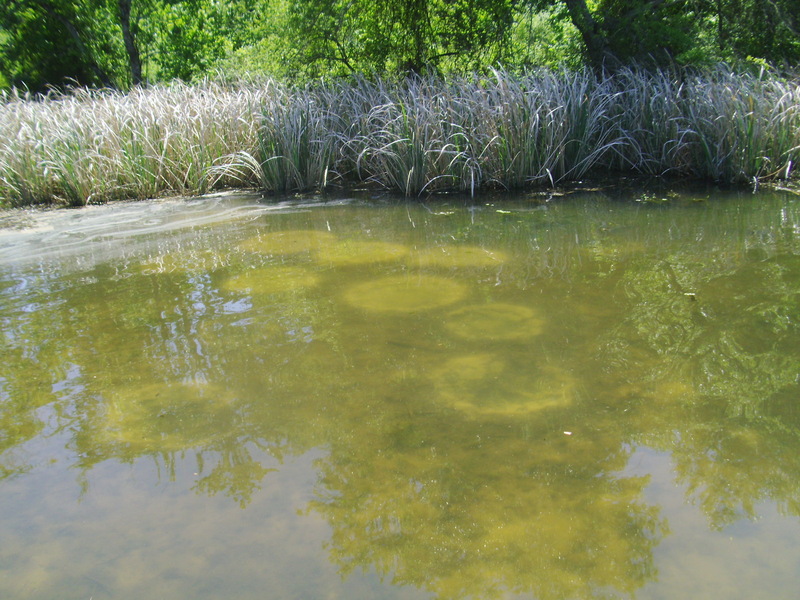 In addition to these pond bass being induces by water temperatures and the moon phase, they are held captive in their small domain and confined to a much smaller area. 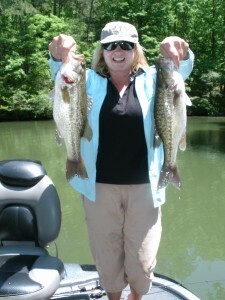 These pond bass can be further along in the rituals of the Spring spawn. It’s all according to the weather! 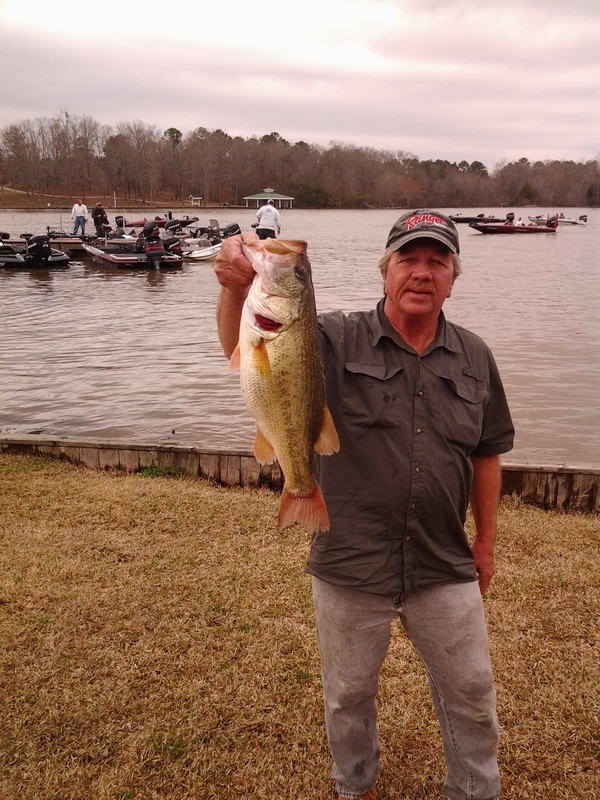 It’s now the height of the spring time spawn, Alabama lakes are back to full pool, aquatic weeds are now in full bloom and the lake’s bedding season is officially underway. Most male and female bass, are now actually through with selecting a mate and now they are ending with the first phase of this annual, three-phase spawning process. Then, the actual month of April is a more noted, “spawning period” seen throughout all of Alabama. April is when most bass are on the beds, and both male and female bass are still near the bed, or by the month’s end and the next full moon, some are done with bedding, but protecting the now very evident and dark round mass, of dozens of newborn baby bass fry! 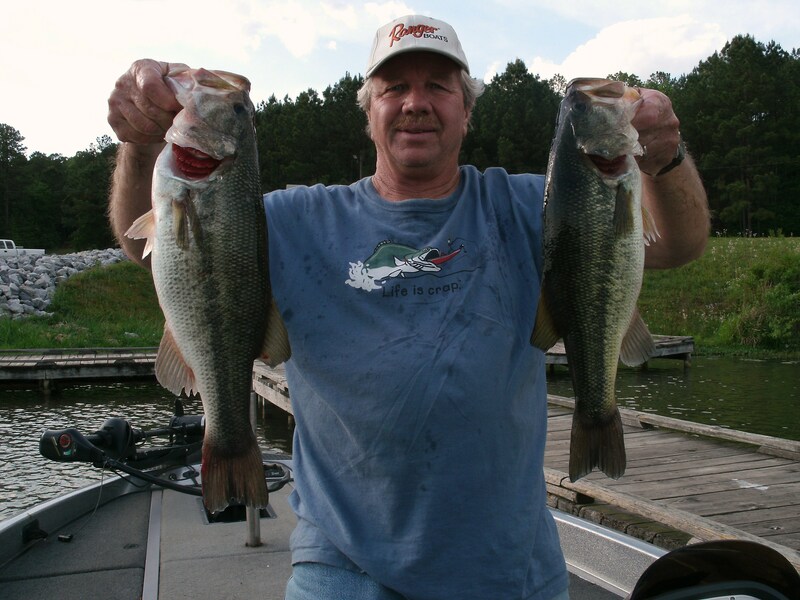 Then there is the often, so well-noted month of May, when all bass anglers anticipate the term, ”topwater time” that is taking place throughout all of the lake’s shallows, from north to south Alabama. 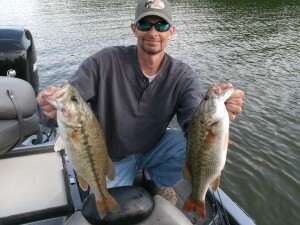 This is when those hungry, post spawn bass feed and fatten up for the upcoming, hot summer season ahead. Big bass are still on the prowl in the lake’s shallows! When coupled with much more ideal weather than March and April (and stable lake conditions, like new growing aquatic weeds and loads of available flooded wood and rock cover), the month of May can be fantastic! 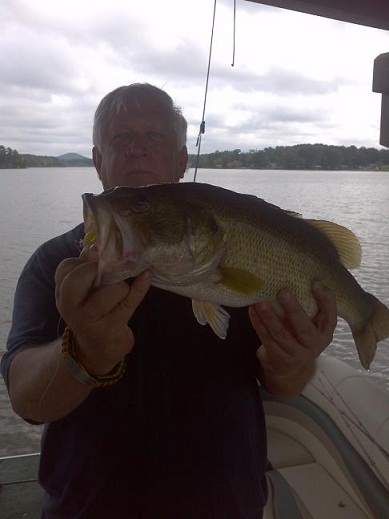 All of Alabama’s lakes are usually “peaking in performance”, around the full moon and all throughout the month of May, it could actually be, “the best month of the entire year” as far as catching loads of bass! 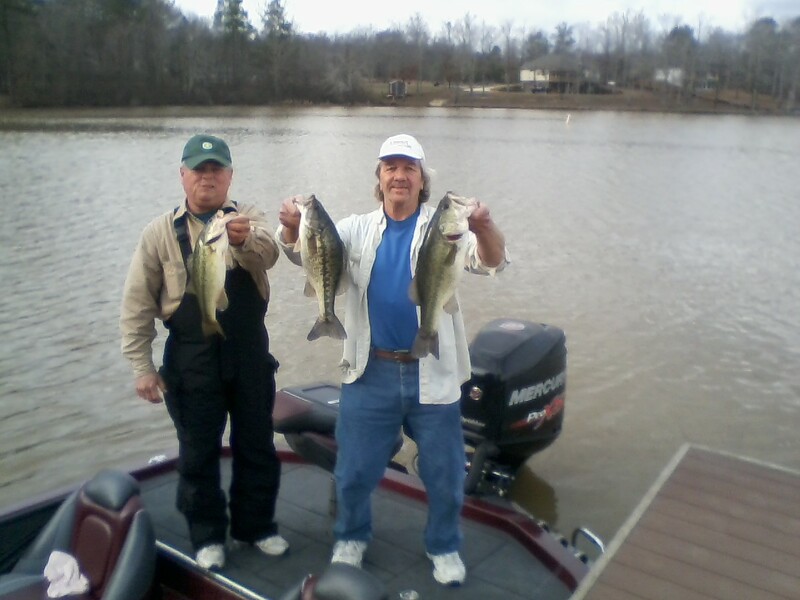 These are either Alabama largemouth bass and/or spotted bass, of which both bass species can be found state wide, in any man made impoundment. Or if your fishing the northern Alabama Tennessee River System lake’s like; Guntersville Lake (Alabama’s largest, man made impoundment), Wheeler Lake, Wilson Lake and Pickwick Lake, in addition to largemouth and spotted bass, it could be ” trophy smallmouth bass “ you’re targeting, during the spawning months of April and May! In April, any of these three bass species could still be selecting a mate and a looking for a choice bedding spot, for raising another year’s off spring. Or these bass (like smallmouth bass that often bed earlier), may be in the actual process of cleaning out the lake’s bottom and fanning a nice, rounded-out bed around the first week of April! 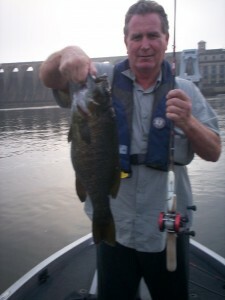 Or, in some cases, some “early Spring spawning bass” may already be completely through with the annual process of bedding, as early as mid April. On the other hand, some “late Spring season bedding bass” have even been seen bedding in early May! So regardless of what Alabama lake you select to fish in April, determined bass anglers should now think shallow and fish shallow! Even during the early portion of the month of June, bass anglers can still enjoy continued shallow water action in the lake’s shallows, from hungry, post spawn bass! Before water temperatures heat up fast this Summer season (and some bass either go deeper in the summer months, follow baitfish schools, or they bury up in some thick shallow cover like aquatic weeds, or wood and rock cover), its possible to fish shallow water with continues success, for the next 10 weeks! Still, there is always the problem of dealing with the hordes of Springtime anglers on all of our very crowded lakes, and the ever increasing interest of bass fishing, especially fishing professionally, all throughout the entire state of Alabama and nationwide, has recently grown tremendously! So, what actually is fishing pressure, you may wonder? And how can you avoid the usual “ spring time fishing crowds ” that are now very evident on all of today’s often very crowded lakes? Especially (to keep in mind), on any given weekend during this 8-10 week period, you may easily see well over several hundred boats on any lake! 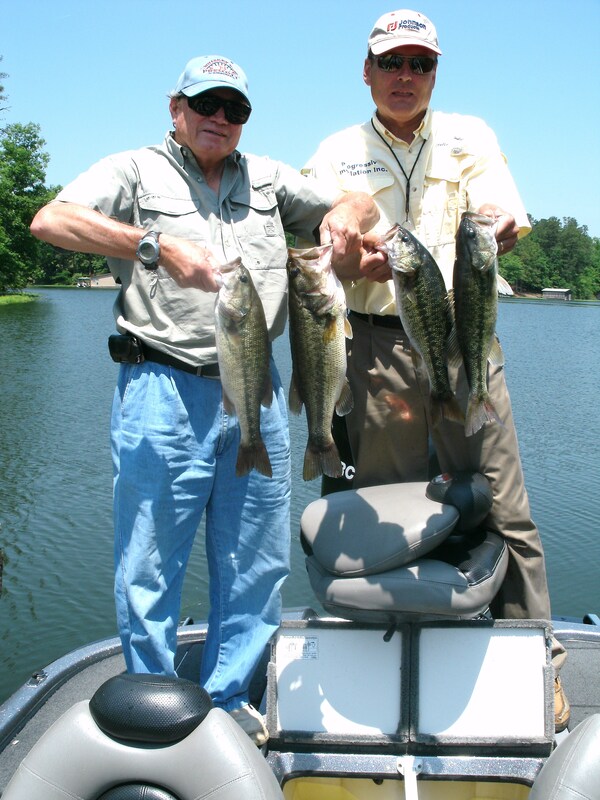 As owner of Reeds Guide Service, Alabama’s oldest, professional — bass fishing only — guide service and my having guided on all of Alabama’s lakes for over 50 years, I’ve seen fishing pressure increase each year. 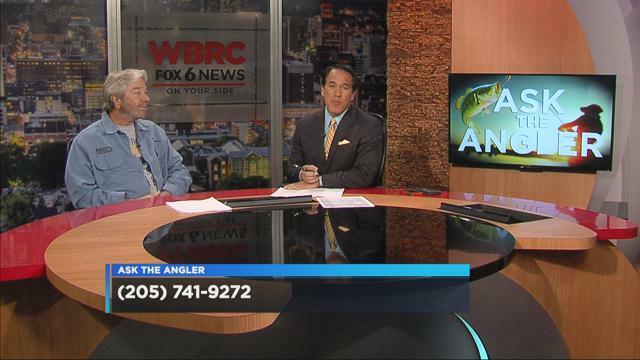 In addition to my guiding year round state wide, there is my participating in hundreds of Alabama bass tournaments now for close to 40 years…you could say, I’ve seen “fishing pressure’ become very obvious on every lake in Alabama! Especially experiencing, “fishing pressure” peaking during the Spring season for the last 50 plus years! 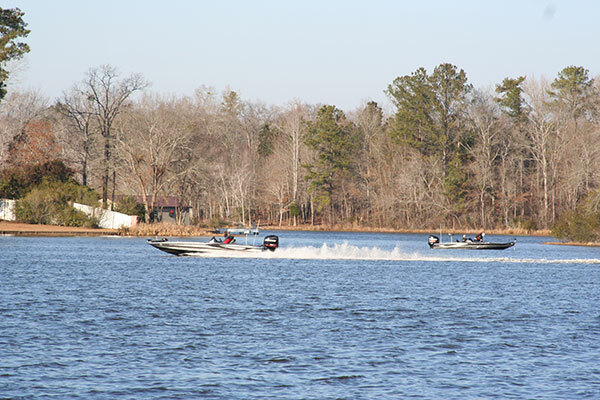 Spring, during April and May, is when many anglers have not even been out on the lake for the entire year! “ Cabin fever ” they call it. Or it could be the results of just watching too many fishing shows, reading loads of fishing magazines, constantly scanning the internet for fishing info and attending boat shows and new tackle shows in the Winter season. 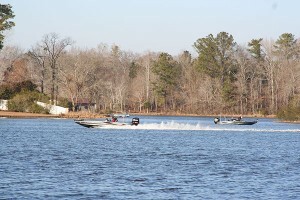 This can all can get to you after a while and unfortunately Spring is when loads of bass anglers are fishing new bass tournaments, annual events, and bass tournament trails on about every Alabama lake! My advice? Fish places many other anglers over look during the Spring season. 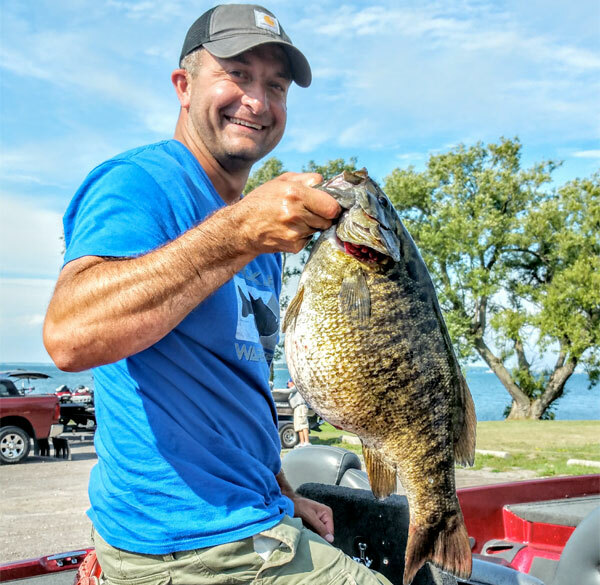 Like in the lake’s headwaters, (below upstream dams are less crowded in the Spring season), and fishing huge, sprawled-out main lake main lake and creek flats, including smaller cuts and pockets, places many anglers just pass by. * Keep this note in mind. 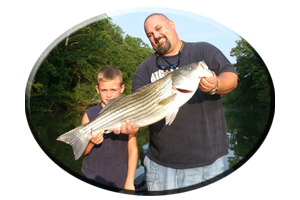 Huge feeder creeks get pounded daily in the Spring season and creeks are most avid springtime bass angler’s favorite places to target, during the spawning season. 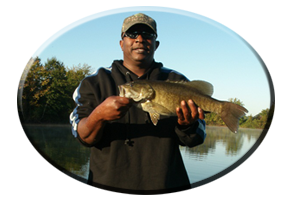 Bass fishing during the week days, when fewer anglers are on the lakes, may show you will find less company in these creeks and less fishing pressure. 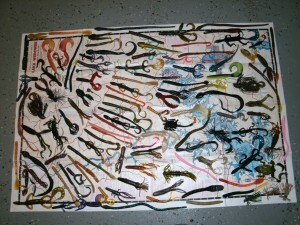 Fish with much different lures than other anglers! 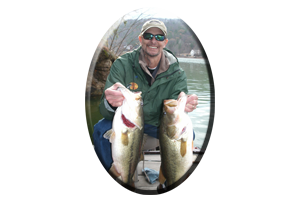 Part of dealing with “fishing pressure” is not only finding the places that do not get fished a lot by other anglers, but in addition, are the lures you select, to possibly fool these “lure conditioned” bass into biting! Changing lure colors, utilizing various types of lure actions and selecting either smaller lures to larger oversized lures, and even making the most perfect casts you can, to unlikely fish holding cover, may be just enough to entice that big bass to bite! Fish at night! What? Yes, you would be amazed at how desolate our lakes become after the sun goes down during the months of April and May. 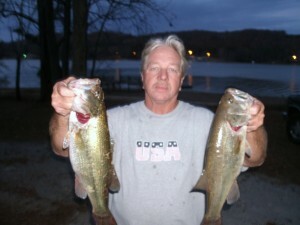 Most bass anglers do not even begin to fish at night until summer arrives. There are a lot of big, un molested bass cruising the lakes shallows after the sun goes down. This is when many anglers are heading for home, leaving some excellent fishing spots all to yourself, and those many under pressured big bass, may let their guard down after dark! Times have changed, but “ fishing pressure ” has not! 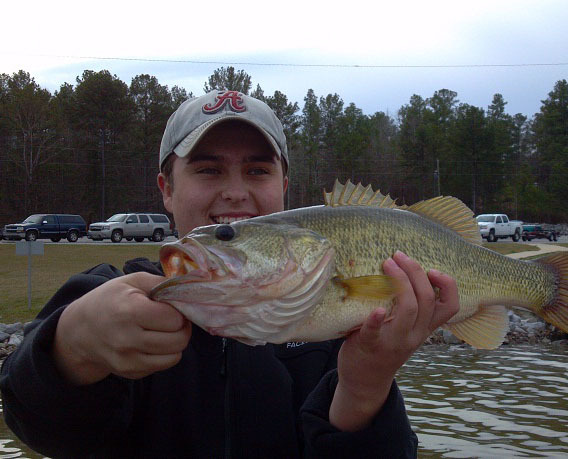 It has increased tremendously on all of Alabama’s lakes! Its here to stay and dealing with “fishing pressure’ is now part of each angler’s “ fishing equation ” when tackling those big, spring time bass! 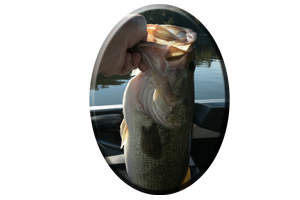 * Be courteous to other anglers on our very crowded lakes during both this Spring season and throughout the Summer season as well. We must all get along and share each and every fishng spot on our public lakes. 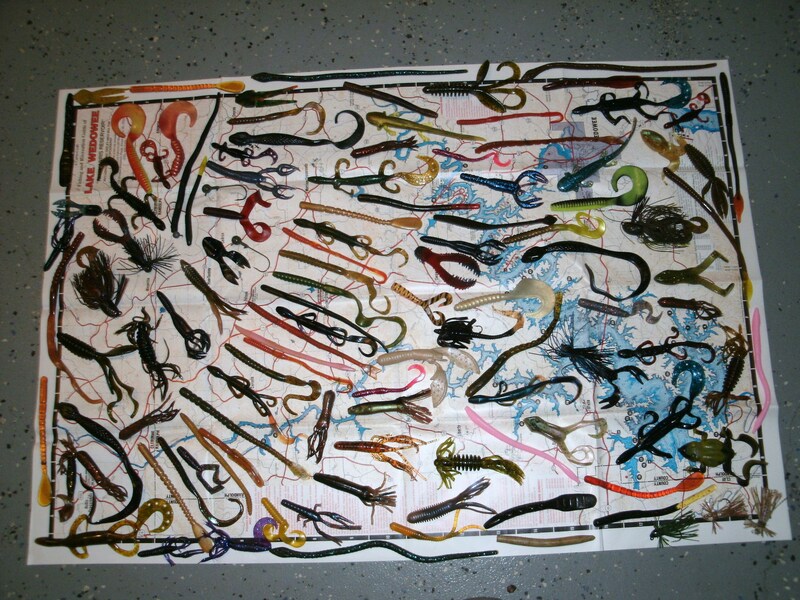 Nothing belongs to any particular angler. They are all just “fishing holes” we must temporarily share! Practice C P R this Spring season. Catch, Photo and Release. 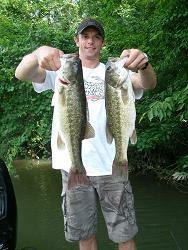 (Unless you’re a bass tournament angler and must cull down to 5 bass, to take to the weigh in). Let these bass go, preferably right where you caught them. To protect the bed and new born baby bass fry from those many, would-be predators. And most important, to give these stressed out spawning bass a chance to live and reproduce again, during next year’s “Spring Spawning Season” possibly the best months of the entire year for big bass in April and May! 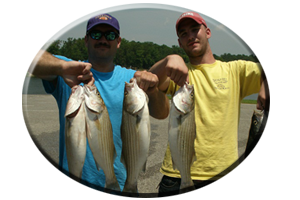 Reed Montgomery / Reeds Guide Service (205) 663-1504 Alabaster, Al. Website www.fishingalabama.com Face book too!